Technology is reinventing the way we approach security! These days, the impact of technology and social media on investigations is evident. However, when it comes to the internet of things, the impact is really just beginning. Police and private investigators have been using location metadata from photos to track individuals down, but consider how much more information they could gather from all the various smart devices at their disposal. In fact, gadgets like Nest thermostats, Internet-accessible refrigerators, and other smart home devices are collecting a ton of data that can alert security staff much more about people’s daily habits than ever before. In today’s crazy world, police are receiving training on how to properly check the data from the various devices during their investigations. As a result, the internet of things continues to develop into an incredible tool that is indeed becoming a tool that police can use in their inquiries. It should come as absolutely no surprise that investigative techniques that involve open-source intelligence channels, such as deep web searches, could become more efficient with the use of IoT. While devices can collect data, they are simultaneously becoming a lot more secure and sophisticated. No longer will it be possible just to seize a device to obtain the data it holds. In the end, cloud computing and the widespread adoption of encryption have made information retrieval more difficult for anyone and everyone to access. As a result, while the IoT continues to grow, the challenges and obstacle that law enforcement face is a lot more widespread than ever before. These days, surveillance has always been a combination of creativity and technological knowledge. In fact, staying aware of all the new advancements within the industry is important. 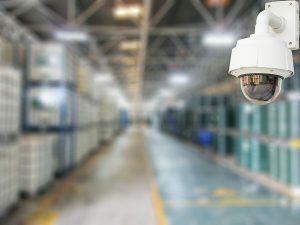 As a result, as the IoT expands and grows, the security industry is responding by turning away from the physical tactics in favor of more software surveillance and communication encryption techniques. This entry was posted on Thursday, September 7th, 2017 at 8:50 am. Both comments and pings are currently closed.